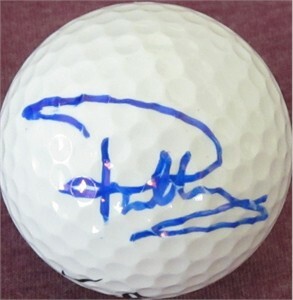 Nike golf ball autographed in blue marker by 3 time European Ryder Cup team member Paul Casey. Obtained in person. With certificate of authenticity from AutographsForSale.com. ONLY ONE LEFT.